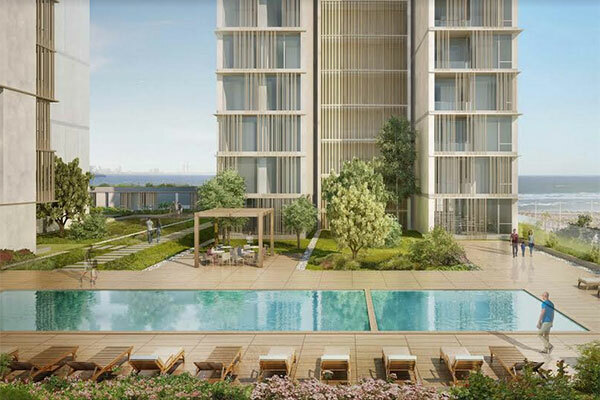 United Real Estate Company (URC), one of Kuwait’s leading real estate development companies, has announced the launch of Hessah Towers in the upcoming exclusive Hessah Al Mubarak District, positioned in a prestigious location along the Arabian Gulf Road in Kuwait. United Real Estate Company will develop 40 per cent of the Hessah Al Mubarak District under Mena Homes, an affiliate of URC. The towers are the inaugural residential offering by URC in the district, an all-inclusive community that delivers a sophisticated quality lifestyle designed to interconnect living, leisure, retail, commercial, wellness, clinics, and offices. Additionally, it includes public gardens, walkways and green open spaces for ease, convenience and walkability throughout the neighbourhood. Hessah Towers offers a total built-up area of 63,000 sq m with a master approach to optimise each single unit’s visual and living experience. Each tower consists of 40 floors comprising three-bedroom apartments, duplexes and townhouses adjacent to the towers, for a total of 212 units that all enjoy panoramic sea and city views. The new landmark will house diverse amenities and services ranging from state-of-the-art security systems and dedicated security staff, a pool, private health club, gym, gardens, a kids’ playroom, special residents-only areas for outdoor entertaining, private roof gardens, and a multi-storey parking for residents and guests.